(Natural News) Most pet owners only want the best for their beloved canine companions, though what is healthy for humans may be potentially harmful to dogs. For instance, grain-free dog foods might cause Fido to do more than just play dead. Gluten-free or grain-free dog foods are diets that are rich in exotic proteins and carbohydrates. They include ingredients such as protein-rich meaty bones and organs of wild animals, like alligator and kangaroo, mixed with carbohydrate-rich sweet potatoes, peas, lentils and other legumes. The carbohydrate content is intended to replace the grain content of dog foods to better resemble the naturally carnivorous diet of the average dog’s more lupine ancestors. Thousands of years of domestication have changed dogs on a genetic level to better adapt to a lifestyle alongside human companions. When dog food was first mass-produced, grains such as corn, wheat and barley were often added to the mix to be used as fillers. Over time, dogs evolved better digestive systems capable of metabolizing these starchy grains, as well as meat. For instance, dogs excrete an enzyme called amylase that breaks down starches. This enzyme is produced by a gene that is 28 times more active in dogs than in wolves. The domestic dog has come a long way from the wild wolf indeed. 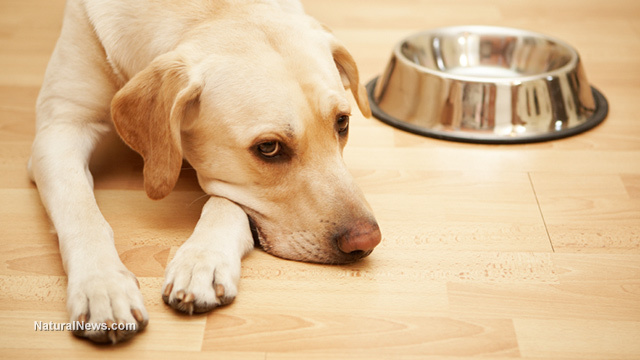 The U.S. Food and Drug Administration (FDA) has announced that it is investigating a possible connection between feeding dogs a grain-free diet and cases of dilated cardiomyopathy (DCM). DCM is a canine heart disease that weakens a dogs heart and causes it to become enlarged, inhibiting its ability to circulate blood. Large dogs breeds, such as Great Danes and Doberman Pinschers, are more genetically prone to DCM, but recently it has been seen in smaller breeds that do not normally have a genetic predisposition to the disease, such as Bulldogs and Miniature Schnauzers. The culprit connecting all these cases would appear to be a carbohydrate-heavy and protein-rich diet of peas, lentils and legumes consistently fed to the dogs over a long period of time. How can you tell if your dog might have DCM? The symptoms include fatigue, difficulty breathing, weakness, irregular heart rhythms, weight loss, coughing and fainting. If not treated in time, DCM may lead to congestive heart failure. The disease also causes low taurine levels in dogs due to the legumes possibly inhibiting the dog’s taurine production and absorption. However, McIntosh counters that not every dog that eats a grain-free diet develops DCM. The FDA investigation has not yet reached conclusive evidence that grain-free dog food causes DCM. Many dog breeds are at risk of developing the heart disease, but not all of them are. Every dog is different and each has its own unique dietary needs, with various factors to consider, such as breed and allergies. In the end, only you know what’s best for your dog. Read more news stories and studies on pet health by visiting PetHealthDaily.com.